EOSreel aims all gamblers who like to play online. We planned to provide our users with various casino games within EOSreel platform, however, the slot games are always our major product line. In this article, I would like to introduce you guys the milestone of slot games, the most popular casino game in entire human history. Sittman and Pitt of Brooklyn, New York, U.S. developed a gambling machine in 1891 which was a precursor to the modern slot machine. It contained five drums holding a total of 50 card faces and was based on poker. This machine proved extremely popular and soon many bars in the city had one or more of the machines. The Operator Bell was created around 1910s. It was a slight variation of Liberty Bell. Though it had some innovative features, still it was very heavy: its weight was over 100 pounds. Nevertheless, Operator Bell’s neck coin entry was better fitting and the main innovative and distinctive feature — it had fruit symbols, depicted on each reel (The Liberty Bell had diamonds, spades, hearts, horseshoes and liberty bells). There were about 30,000 of such slot machines produced at that time. During the time of Operator Bell, America banned slot games. In this period of time, slot firms started producing various symbols. The BAR symbol was created in this period. Eventually, modern technology caught up with the traditional slot machines and fruit machines. In the 1960s, the first electromechanical slot machines were invented. The most famous of these is Bally’s “Money Honey.” By the 1980s, the electromechanical machines were replaced with the electric machines which, as technology advanced, were replaced by the true electric machines which were powered by electric microprocessors. This type of casino slots machine allowed bigger bets to be placed, which meant there would also be bigger payouts. Slot machines continued to grow in popularity and one could see slot machines in practically every leisure club all around the world. 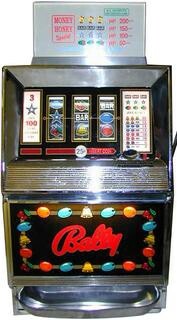 The machines continued to be developed, particularly with the introduction of Bally’s ‘Money Honey’ in 1963. Previously the payouts had come from tubes stacked with coins inside the machine. Money Honey’s innovation was to incorporate an electric hopper (developed for coin counting) which could hold much larger quantities of coins, making the payouts much more spectacular. With the introduction of the Random Number Generator, slot machines gained even more popularity. The Random Number Generator is a computer that is programmed to simulate spinning reels and to produce a totally random outcome to the spin. With the introduction of the Random Number Generator, the traditional one-armed bandit machines soon began to disappear. The slot machine could now be operated with just the press of a button. This new technology opened up a whole new world of slot machines,as manufacturers could now develop slot machines with every imaginable type of theme and symbols and with multiple payout lines. Slot machines have become so popular that they now make up about 70 percent of casinos’ floor space and revenue. The biggest advance in slot machine history since the invention of the Liberty Bell was probably the invention of the online casino. The online casinos really took off in the 1960s. And naturally, online casinos, like land-based casinos, have adopted slot machines as their flagship game. 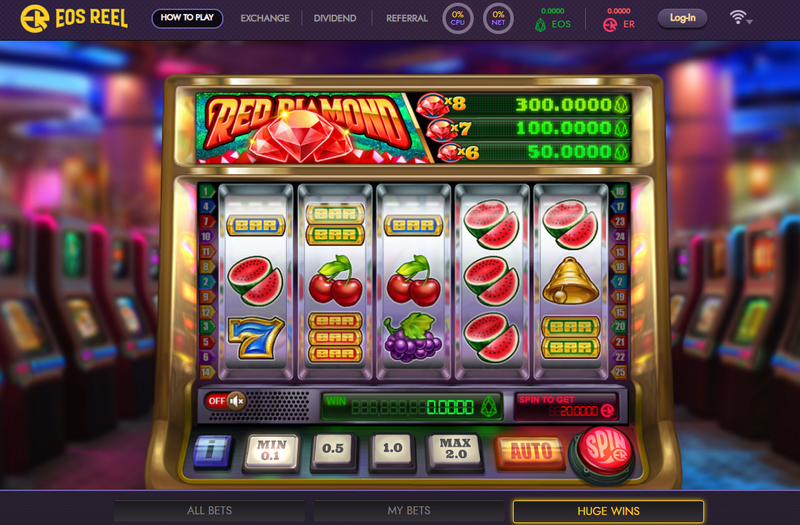 Many thousands of people now play slots online from the comfort of their own homes. Online slots offer everything that the physical machines do and more. The lights and colours of the online slot machines beat any land-based game, and as long as the online casino you are playing at is licensed and certified you can be sure it is a fair game. There have been numerous instances of progressive online slots games paying jackpots of over a million dollars in real money. This is due to the fact that the Internet allows the progressive online slots games from different casinos to be linked together, so that thousands of online slots players are feeding into the jackpot until one lucky player wins at the slot machine and takes it all home. Conversely, online slot machines also offer low bets; coin sizes can be as little as 1 cent which allows the average player a good game with very little investment. 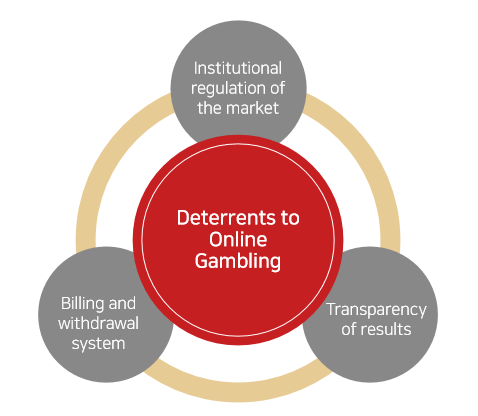 The problem with traditional online gambling is the institutional regulation of the online gambling market and its reliance on inflexible payment and withdrawal systems. Market regulations prevent providers from entering the market, and inflexible payment and withdrawal systems can cause distrust of consumers toward content providers, resulting in a breakdown of otherwise healthy ecosystems. Online gambling leveraging block chains have their own problem sets. Some of these include limited bandwidth capacity at low network speeds, adverse content scalability, fees for data transactions, and the unfamiliarity with cryptocurrency for users. Limited bandwidth capacity and unfavorable content scalability serve as a factor that hinders the ‘fun’ of the gamble service itself, and the data transaction fees and the inefficient use of the crypto-currency of users cause difficulties in attracting existing market customers. Distributed ledger technology of blockchain would suggest solution for all the problems of online gamble industry. That anyone can verify everyone’s game results makes blockchain based casino games transparent since every verification process is provided, and smart contract that is applied to blockchain makes withdrawal instant. EOSreel always seeks a way to give its users better gaming experiences and larger daily dividend. EOSreel implements fundamental value of blockchain on gambling industry because the industry has reached the point of another evolution.